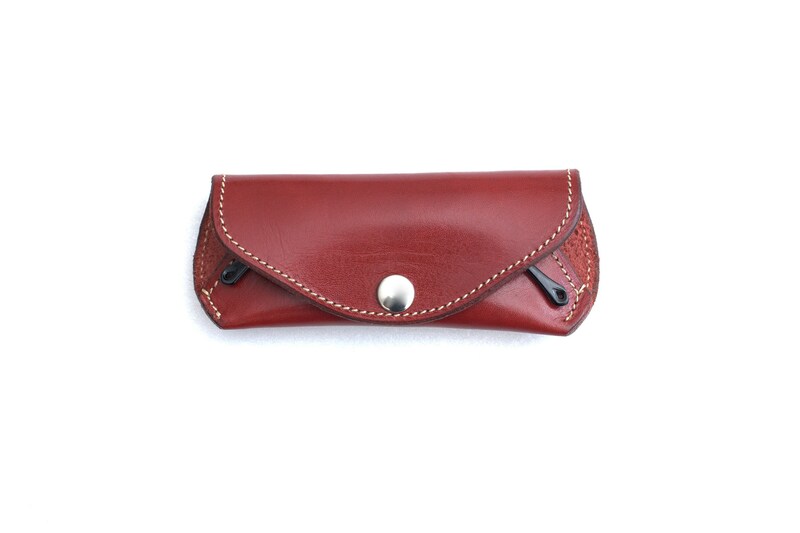 This is a genuine Celyfos® handcrafted, top notch leather eyeglass case. Made from Greek 5 oz. 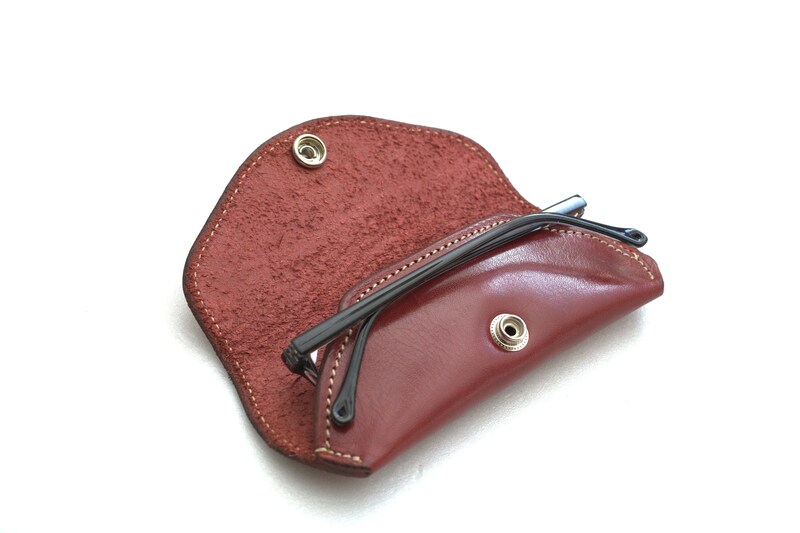 (2mm thick) vegetable tanned leather - hand dyed ! 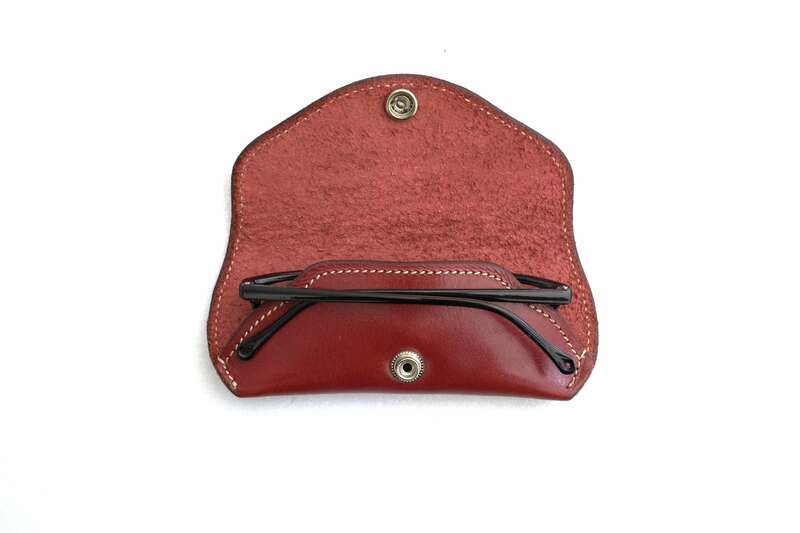 This leather comes from Crete island, one of the last remaining tanneries in Greece. Really hard to find. It is a real pleasure to work with and very comfortable to use. The amazing qualities of this leather makes it so unique. When is un-dyed it darkens under the sun in a short period of time. 100% Hand made - Hand dyed. 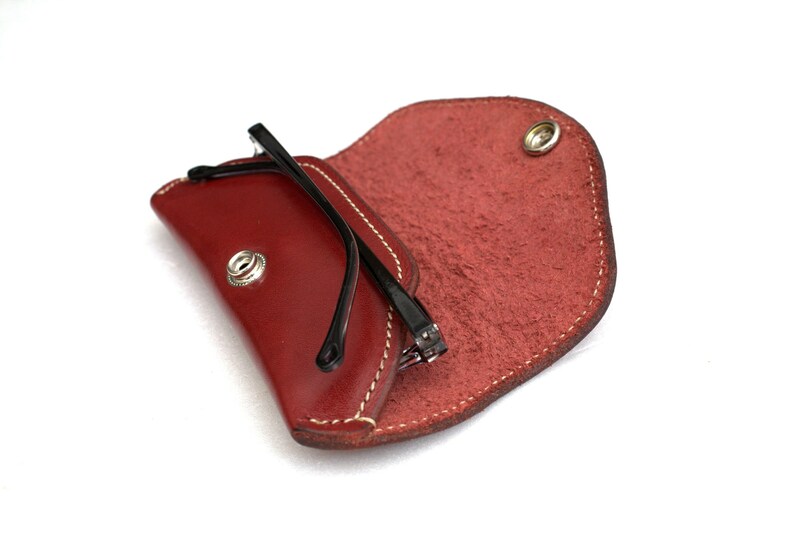 -Hard Nose pad rest support. -Bronze or Chrome plated snap button available. 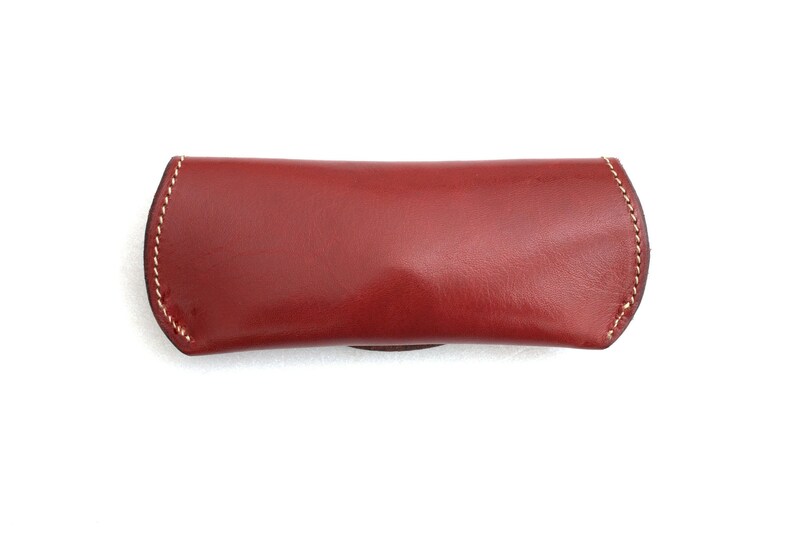 -Fits most reading eyeglasses sizes and your Wayfarers as well ! 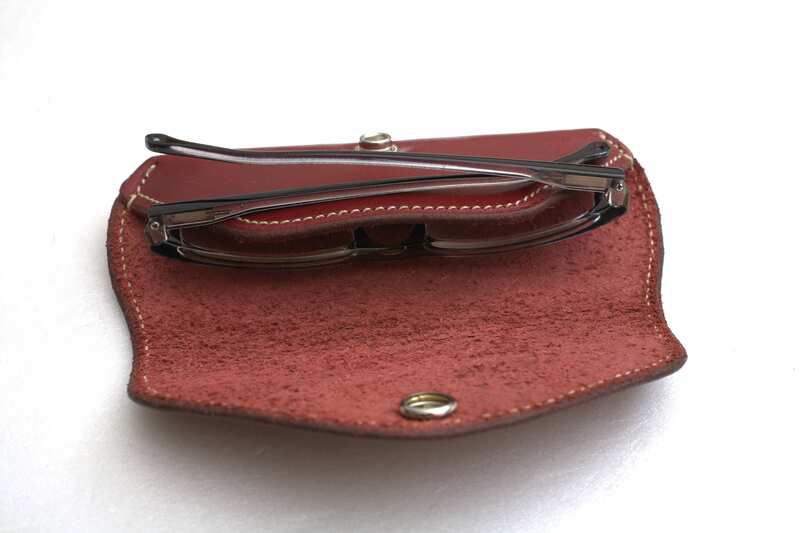 -Soft feel yet rigid enough to protect your valuable eyeglasses..